Established and started its operation in the year 2007, we, Soltech Pumps & Equipment Pvt. Ltd., are considered to be among the prominent manufacturers, suppliers, distributors, wholesalers and traders of a wide range of the premium quality of Pumps & Valves. The product range offered by us consists of Polypropylene Pumps, Chemical Process Pumps and Metallic Pumps. Fabricated and engineered in compliance with the industry laid norms, these pumps are highly demanded in the market due to their user-friendly operation, energy efficient design, and low maintenance. In addition to this, the offered pumps are available with us in various sizes, designs and capacities, to meet the precise needs of esteemed customers. Large production capacity of our infrastructure has helped us in attaining the bulk demands in the most efficient manner. We follow quality assurance procedures while manufacturing the offered range of pumps, to ensure that the premium quality is never compromised. Some of the industries we serve are electronics industries, effluent treatment plants, fertilizers industries, metallurgy industries, nuclear power plants and pharmaceutical industries. Mr. Sharad Khanduri is sales executive our company and he have helped us in catering to a huge clientele across the nation. 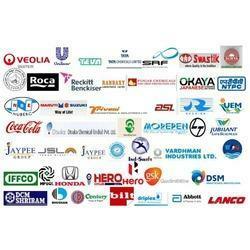 Allied strips ltd., Bhushan steel limited, Century pulp & paper, DCM shriram industries limited, Hero Motocorp Ltd. and Hindustan Unilever Ltd. are some of the esteemed customers associated with us over a long period of time. We are cordially and strongly associated with most trustworthy and certified vendors at global level for procurement of quality products. Our associated vendors are competent in their domain and manufacture using quality factor inputs and advanced technology. In order to associate ourselves with genuine vendors, our procuring agents conduct various market researches over vendor in relation to financial stability, goodwill, past clients served and quality. Our pleasant and warm relationships with our clients have also enabled us to provide these products in accordance with clients’ specifications. One of our major concerns is to attain maximum customer approval and satisfaction, by providing with the best quality pumps at cost effective prices. Infrastructure and skilled manpower are driving force behind our remarkable success in this domain. Wide distribution network and strong logistic has helped us in delivering the offered range of pumps and accessories within the assured time frame at the customers’ end. Standardized packaging and multiple modes of payment are offered, keeping the ease of our customers in mind. Backed and supported by a state-of-the-art infrastructure, we have been able to manufacture the offered pumps in compliance with the various industrial requirements and demands. Spread over a wide area of land, our infrastructure is spread into different units such as manufacturing, warehousing, packaging, in-house quality testing and sales & marketing units. We have appointed a team of experts, to handle and manage different units of our infrastructure in the most efficient manner. Due to their profound experience and in-depth domain knowledge, our workforce holds expertise in their area of work. Our team consists of production managers, sales & marketing experts, logistic professionals, procurement agents, engineers, technicians and other support staff like quality controllers and warehousing & packaging experts. Utilizing the skills, knowledge and experience of our workforce, we have been able to meet the requirements, expectation and demands in the most efficient manner. Our products are used for venture scrubbing, steel pickling, electroplating, paints, dyestuffs, chlor alkali, pharmaceutical industry, Water Treatment Plant, Effluent Treatment, Filter Press for dyes and chemicals, Rescaling of tubes, Scrubbing of corrosive gases like C12, Br,1 So2, Nh3, F2 Etc, Excellent for vacuum ejectors, Transferring of concentrated HCL from road tankers, Pickling & Caustic soda plants, Transfer oil from tankers to barrel & Drum.